No cardboard box can be manufactured without die cutting technique. Due to this die cut cardboard boxes are so much in demand. Every shipping or house moving service providers need die cut cardboard boxes to fulfill their need. Considering this, customization is offered to make full use of die cutting techniques. 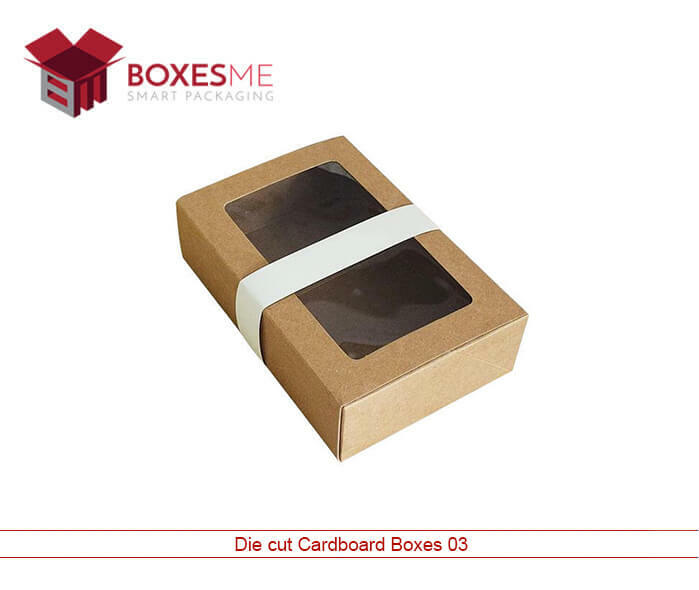 Apart from the basic structure of the box, die cutting is also very important when it is applied to the external or at the front panel of the box. Die cut windows in number of styles can be krafted that not only stylize the products but also make them perfect to be used for multi-purposes. To make the boxes reflect the quality of the product inside, die cut technique plays an important role. Die cut cardboard boxes are acquired by manufacturers who want packaging as well as quality material and finishing of the box. 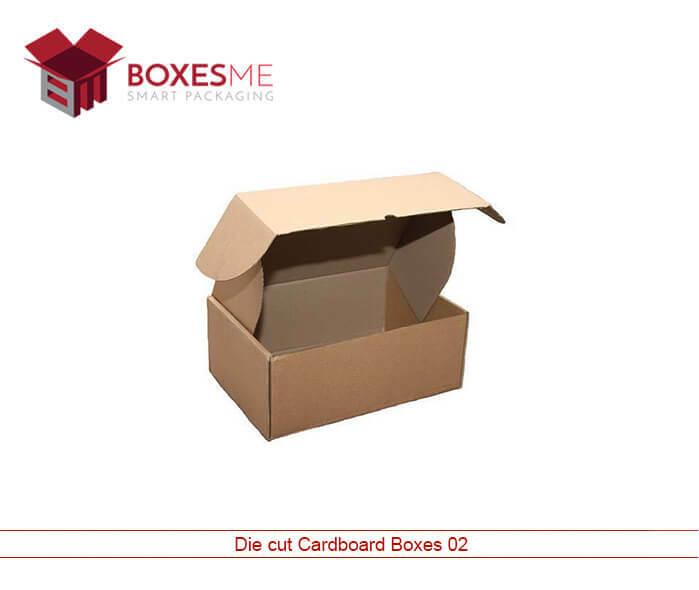 You can get different shapes and styles of die cut cardboard boxes according to the shape and size of your product. These boxes are added with colorful printing and finishing to make the boxes look fancy and attractive to the customers. On the other hand, if you acquire premade boxes, they will not fulfill your packaging need as you want them to be. As printing is a vital feature that customization offers to you. Die cut technique allow you to create any shape and style for the boxes. With die cut cardboard boxes, you can accommodate any of your product easily. To name few Hexagon Two Piece Boxes, Reverse tuck End Boxes, 1 2 3 Bottom Boxes, Two Piece Boxes and Tray and Sleeve Boxes can all be made available to you for different products and purposes. Gift boxes can be made of two piece boxes whereas for cigarette boxes, you can avail the seal end boxes. Die cut cardboard boxes are also made for frozen food packaging that highlight the presence of edibles on the display refrigerators. Cardboard material is best for making display packaging boxes. The die cut cardboard boxes can be printed in attractive printing designs to promote the products effectively in the market. You can also print your brand logo on them for marketing purpose. Other that, die cut window in various styles can be added on your food boxes to show the freshness of edibles displayed on the grocery stores. Full color printing on the boxes can also be made available that will fill your product boxes with energy. 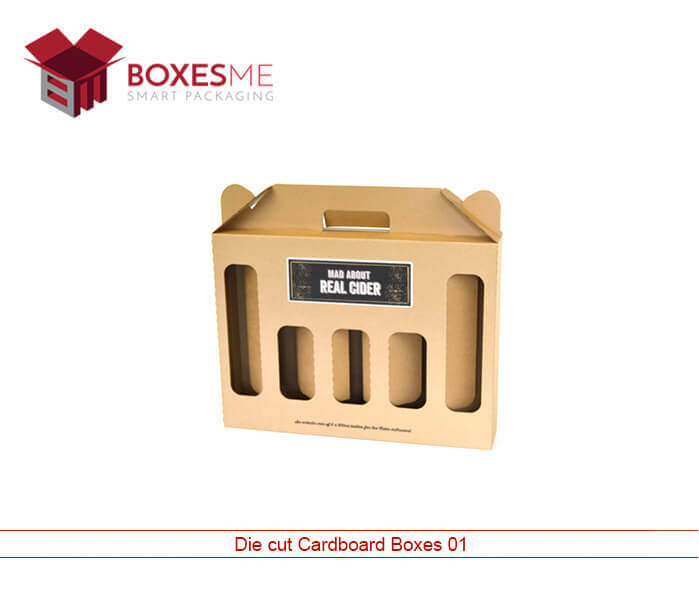 BoxesMe are one of the most experienced die cut cardboard boxes manufacturers in United States. We provide our customers with free designing assistance by our experts. They help and customers and make things easy for them while designing their boxes. You can order us easily and can also avail free shipping of your ordered boxes at your door step.